Sam's Branch Greenway is a beautiful 1.25 mile, 10-foot-wide paved pedestrian and biking trail made possible with roughly $600,000 in funding from the North Carolina Department of Transportation. 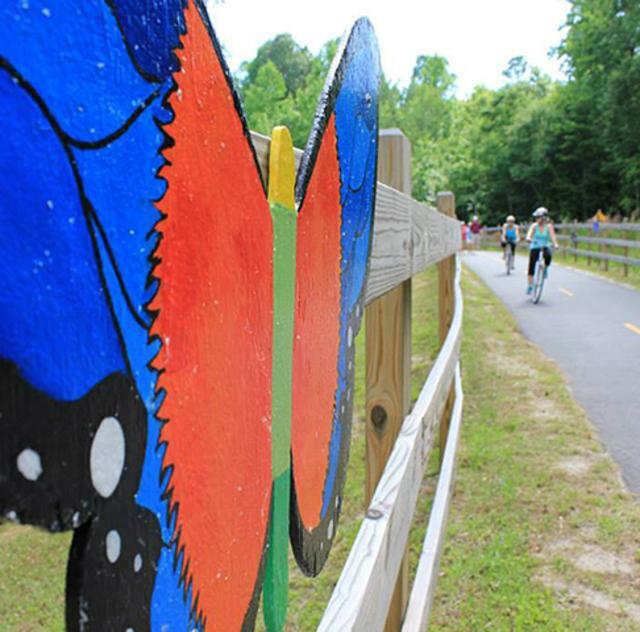 The greenway leads to the winding Neuse River and now connects with the newly dedicated Clayton River Walk on the Neuse, a 4-mile section of the North Carolina Mountains-to-Sea Trail. These trails now allow families to enjoy 30+ miles of biking or hiking all the way from Clayton to Falls Lake Dam in Raleigh. Great outing for hiking, biking, and viewing nature along the Neuse River.